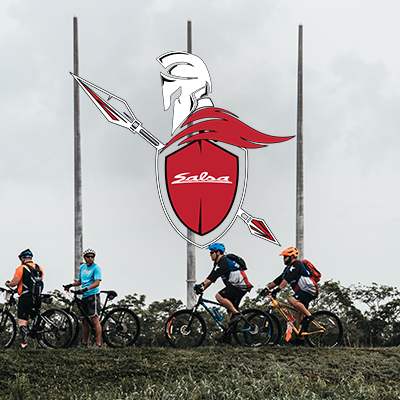 Join us on December 9th, 2018 as we crusade out of Black Point Park and Marina for the first-ever Gravel Gladiator, presented by Salsa Cycles. Battle the elements and fight off the obstacles on this open category, 45 mile levee ride straight down to Homestead. From beginner to expert level riders are welcome! All riders will receive a wristband for food and beer plus a goodie bag that includes a special edition, Salsa Cycles water bottle and a raffle ticket for a 2018 Salsa Journeyman. The GLADIATOR CHASE will be the first wave of riders competing to be the TOP Gravel Gladiator. The second wave is the GLADIATOR RIDE, which is for riders just looking for a fun ride and great time! WHO: Beginners to experts are welcome. Male and Female Groups- Open Category - 45 Miles (Mountain bikers, cross cyclists and fat tires allowed. NO ELECTRIC Bikes) - Gladiator Chase - Riders competing for the TOP Gravel Gladiator. - Gladiator Ride - Social rider group. Velosport Events (VE) has a No Refund policy on all of our events. A refund requested prior to race week will be given a VE race credit for the amount of the entry fee minus a $25 processing fee. Credits are not given during race week. Transfers are allowed from one VE racing event to another within a one-year time frame. There is a $25 transfer fee. Transfers are not allowed during race week. All VE events are held Rain or Shine. Velosport Events (VE) safety is the most important thing and if any of the threatening weather conditions are present the day of the event (tornado warning, tornado watch, thunderstorm, heavy rain or a hurricane decides to visit), the event may be delayed or canceled. When weather conditions or other physical conditions present a danger to participants, such conditions fall under the label “acts of mother nature,” it will not result in refunding of any race entry fees or future event credits, since funds were already spent in preparation for your race day. Our race for FREE Incentive Volunteer Program offers a chance to get involved with multi-sport events, have fun, and earn a $60 VE Racing Volunteer voucher good towards entry fees at any of our events this year. Each volunteer shift is 6 hours. We ask volunteers to email us at info@velosportevents.com as our volunteer positions will fill up quickly.